Need access to a MSN, Hotmail or Outlook account? very protective and quick, I am on it right now. The simplest(and fastest) app you can get. The best one I have EVER used!!! Thank you! Simple fast recover! will always be the best!! Fast, safe and user friendly. Does just about everything I want, fast. This one blows the rest away! Excellent software. I am using it now. How do hackers hack a MSN, HOTMAIL and OUTLOOK account? PASS REVELATOR is the best legit and genuine software allowing users to find all passwords of MSN, Hotmail or Outlook (also Office 365) by simply breaking and decrypting the passwords account. Any time and without limits, our tool will recover any password worldwide. PASS REVELATOR delivers the previous and current MSN, Hotmail and Outlook passwords that are associated with that account. You can decode your own password that you forgot but also the passwords of your friends! Let&apos;s have a try now! We guarantee the access to MSN, Hotmail and Outlook (also Office 365) accounts and passwords, if not, we refund. password that PASS REVELATOR extracted. Our software is able of successfully handling many encryption like two-factor authentification (2FA). Don't loose one more second, click on the INSTALL button, you will easily and quickly find passwords from all accounts to log in without limits! How does the MSN, HOTMAIL and OUTLOOK password recovery work? First, download the software to the device by clicking on 'INSTALL'. Next, run the program and allow it to begin operating. And then, simply type your email of the account to recover and you are done. PASS REVELATOR will then begin to work with the main information provided and proceed to retrieve your lost password. Then, you will have the possibility to save the password in a file on your device. Read the rules, be aware. Why did they hack your MSN password? Only very few people take piracy seriously and the result is that our PASS REVELATOR software is downloaded hundreds of thousands of times per month to help users recover their or others passwords. It has more than 600 million active users, a boon for hackers to crack Outlook, MSN or Hotmail passwords. - They want to spy on their boyfriends or girlfriends. - They want to search through secret archives, personal emails. - They want to use the account to create a massive spam. Where are the MSN password hackers coming from? Originally, it was Passport, then MSN, Hotmail then Outlook but the system and the principle are still the same. It is very difficult to know where the hackers are coming from because they hide their IP address and they go through gateways with multiple connection points and VPN servers. It is almost impossible to get to them and the cost of several million dollars is not worth it. These hackers range from amateur to professional. The amateur is just alone in his bedroom trying to get into his girlfriend's mailbox to read her private messages. As for the professional, he will constitute a real team to divert millions of accounts to create a genuine weapon of spams or bots attacks allowing the flooding of the web with unwelcomed messages. Very often to get your Outlook box hacked, it's only a simple moment of inattention or an unfortunate little click on a trap email or an unsecured connection on a public WiFi network or as we told you above, the malice of a close friend. A good password does not do everything, but there is no reason for not putting a strong enough one! Typically, a password consists of letters, numbers, and special characters. But this is not going to prevent hackers from hacking your email account. Nothing is foolproof in IT. Hotmail Outlook Password Decryptor - Is it possible to easily find MSN countersigns? Find Hotmail quickly, easily and without special skills? Or recover Outlook accounts to obtain their passwords? 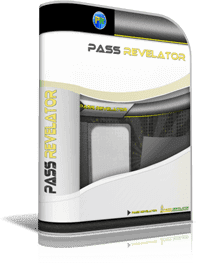 Pass Revelator software is easy to use, downloaded and installed in less than 30 seconds, but it is not made for this kind of result if it is not linked to your account. By using it, you agree to obey the laws of your country. Be careful not to download a software that is intended to encourage you to try by any means to hack, crack MSN password or steal the keywords of a Hotmail account of your friends or people you know. Can someone hack an OUTLOOK password? Log in to a MSN, Hotmail, Live or Outlook profile has never been simpler, you can now become a competent specialist for unsecure messenger within the next 5 minutes, read on to find out how! First of all, go to the bottom of this page and click on the download link to load our special tool, once downloaded, you only need an email address to enter your profile. Click on recover password and let it do the work. It’s magic, you will have the desired information within a couple of minutes. It has never been easier nor it will ever be, this is as good as it gets! But the future of the password will be... without it. News stories too often prove that identifying with a "simple" password is no longer enough to protect properly. Time is for reinventing the ways of authentication, a move acclaimed by most collaborators. Employees of the future want security. Nearly one in two employees wants a workspace with advanced security features. But at the same time, the majority of collaborators do not have the patience to fill in endless papers nor the capacity to remember dozens of identifiers and passwords. They would gladly choose another method if they were given the opportunity. Thus the challenge is to put in place security measures, without making life impossible for these users. The future lies in the combination of several passwords. Known for bridging the gap between security and customer experience, advanced authentication techniques appeal. For example, multi-factor authentication (which combines several processes for greater security) proceeds by verifying information that only the user knows or possesses in theory: a knowledge factor (information such as the city of birth), a possession factor (a token) or an inherent factor (a fingerprint, etc.). An advantage to this: better comfort and increased personalization. Employees are also becoming increasingly familiar with biometric and multifactorial authentication. Biometric techniques consist in the identification of a user by recognition of his fingerprints, his voice, his iris, his ears... more and more use social network accounts. Ultimately, using a social network account or a biometric element is certainly less invasive than having to think of a new password or to reveal once again your username, your address and your preferences, each time you register. There is no lack of new ideas. Who would have thought a few years ago that a selfie would be a guarantee of safety? Yet it is the choice of credits cards to authenticate their customers on the mobile application from a selfie, comparing it for example with the image of the identity card of the customer previously registered. Another idea, a small key would act as a digital ID card that, once configured with your web browser, would let you access your accounts without entering a password. But rather than burying it definitively, some are trying to reinvent the password. This is the case for researchers, who have developed the prototype of a technology that preserves the standard practice of the password except that it is not typed in an entry field. The technology recognizes not the word as such nor the characteristics of the lips in absolute but the movement of the lips at the moment of the pronunciation of the password and all of this is filmed by a webcam. The researchers also try to combine this technique with a system of recognition of the language, the voice or with face recognition. Artificial intelligence is likely to play a leading role in cybersecurity in the years to come. Is recovering an Outlook password safe? Indeed it is difficult, however, it is possible to obtain any hacked database information. All that is needed is to know the ID of a victim. There are many ways to hack Outlook password but it is not as easy as you might think. To do this trick you should at least have knowledge in programming. But why do you need to waste time and get deep into details if you can work just by paying a small donation. You can be sure that hacking through our service is absolutely anonymous but we are not going to disclose more about that. To find MSN, Hotmail, Live or Outlook account is possible and we only recommend trusted websites. We went through great lengths to go through all the fake softwares and found the one that really works and created this website to help you. We will update this website with info from the latest websites where you can find the hacking methods which are working. You can use it also for Android smartphones and tablets. The sign "Peace" is a great classic of selfies, a unifying gesture that is regularly found on social networks. However, when you read the following article, you will probably think twice before showing your fingers on your next selfie and for good reason since depending on the quality of the photo and the distance from which it was taken, the hackers are now able to steal your fingerprints. According to computer scientists, it is possible to reproduce a person's fingerprints using a photo posted on the Internet. Getting fingerprints from a selfie? This is possible, hackers can recover the fingerprints thanks to the photos posted on the social networks. The quality of cameras needs to be at least the one of a smartphone to make this possible to a hacker, it is first thanks to the camera sensors, which offer a very high precision, up to twelve million pixels. This sharpness makes it possible to zoom in on the fingers, often in a V-shape, less than one meter from the lens. But the experts also managed to hack fingerprints during a test when the photo was taken at a distance of three meters! We can recover pictures from which we can, with some work, reproduce a fingerprint. They also hacked the fingerprint of a minister! Especially since this is not the first time that hackers have fun with this manipulation. Two years ago, at a conference, a hacker took a picture of a German minister while he was speaking, he had reproduced his fingerprints and managed to unlock his cell phone. Since fingerprints can be stolen, copied and used to bypass today's login, it is clear that passwords can still offer their services for years and years. The worst thing about it, is that the man responsible for all these daily nuisances regrets today to have established these rules. It includes the following tips: use special characters, uppercase letters, numbers. But also ask a new password to the user regularly. Recommendations that follow the same logic: prevent hackers from successfully guessing the password using programs that test all possible combinations. The more characters possible, the longer it takes for a machine to test all possibilities. These recommendations had a perverse effect. Faced with the complexity of these strange passwords, difficult to memorize and to change regularly, many people have cheated. For example, simply put a capital letter at the beginning or a number at the end. This will be sufficient in order to succeed in hacking a relatively short password quite easily. This is what they illustrate perfectly: a short password, composed of four words without any link between them, is easier to remember for a man and more difficult to break for a machine. In the end, it was probably too complicated for many people to understand these recommendations, we were wrong. In the latest edition, published recently, the network companies advise to stop asking users to change their password regularly. Similarly, users should no longer be forced to add special characters in passwords. This will make it possible to create a longer secret code, yet easier to remember. Finally, last suggestion, which is less likely to make you happy: set up dictionaries preventing you from entering a password which is too obvious. For example, let's say you want to use a common word, or worse a term related to the account you open (for example, "myoutlook" for your password on the social network). The site will then notify you that the password is too common and will refuse it. The majority of hackers use software to hack Hotmail from a smartphone, but it is also possible to access a device by modifying some display components. A technique highlighted by researchers who have accessed native features of a smartphone by altering its screen. Specifically, they have integrated a corrupted chip on an Android smartphone. This enabled the user to save keyboard entries, access photos, send email information, install applications and redirect him to a phishing site. The researchers even went further by tackling vulnerabilities in the core operating system. The attack can easily mislead security experts or antivirus. Indeed, the threats come from a modified chip that integrates discreetly into the device. But for now, the researchers have not yet got to this stage. In this study, they connected the system to the electronic circuits of the screen. In our department, mailboxes hacking has become a source of concern for many Internet users who are not always computer savvy. There is not a single day without hearing that our relative, our friend, our neighbor has been "hacked". This results in the user losing his contacts, even by suspending his telephone line and the bitter feeling of being fooled. In this attempted fraud, for it is one, the pirate who usurps your identity asks your correspondents to send him an amount of money, to get him out of an embarrassing situation where he is, following the loss of his papers and cell phone. Who would not help a friend stuck in Africa, for example. To have access to your address book, he uses an email address which is substantially the same as the real user’s address with just a letter or a sign being different. Another method is with a message apparently coming from your voicemail, that asks you to click on playback. You will then receive an invitation to give your identifiers to read the message. In this case the delivery address is totally different from yours and one can wonder about the process used by the hacker. In reality the scammer tries to identify your profile to access your Hotmail accounts. All the operators are affected and it seems impossible to secure the networks. If you receive an Outlook email from someone you don't know, be careful. Before answering him, check that his address is correct. If in doubt, do not reply and delete the mail. It can also happen that the messages are from well-known sites like large companies. The logos are pretty well imitated. In any case, you should know that these service providers never ask you for your banking details since, in principle, they already have them. Hackers use the trusted friend feature of the email box to steal the credentials of many accounts. A new phishing campaign is raging on Hotmail. It uses the trusted friend function. Phishing is a technique that consists in making the user click on a link, in order to retrieve all his identifiers. The method is simple and always the same: hackers pretend to be one of your friends, already infected, to spread a fraudulent virus. The friend in question tells you that his account is blocked. The trusted friends feature allows you to contact three to five friends in case of a connection problem. A link is sent to unlock the account. The link would have been sent to you in an email. You open the email, and all your credentials are retrieved by the hacker. In fact, the code to recover its credentials must be sent in individual parts by all trusted friends, not just one as alleged in the MSN message by hackers.